Congress leader Sonia Gandhi on Friday said she chose Manmohan Singh as the prime minister in 2004 as she was aware of her limitations and knew that he was a better candidate. She even mentioned that there is a possibility that Congress might have a party president outside the Nehru-Gandhi family in future. "Why not? In future there may well be," Sonia asserted. She further added that reason for choosing Singh as the PM was that he was a better candidate for the post than herself. "I knew my limitations. I knew Manmohan Singh would be a better prime minister than me," Gandhi said. The former Congress president was responding to a question on why she chose not to become the prime minister even after leading the UPA to power in 2004. Gandhi, who is a MP from Rae Bareli, also said that she would contest the 2019 Lok Sabha polls from the same constituency if her party decides so. "Whatever decision the party takes," she said when asked whether she would contest the polls from Rae Bareli. Gandhi, 71, who was Congress president for 19 years, was replaced by her son Rahul last year after internal party elections. In a deeply introspective speech, the UPA chairperson spoke on a wide range of topics, including her children, her own shortcomings and the role of democracy in India, the first time she has opened up since relinquishing the party president post. On whether she advises her son, Gandhi said she tries not to volunteer. "He knows his responsibilities. I am there if he needs me. I try not to volunteer. He wants to revitalise the party by bringing in new faces along with senior leaders. He wants a balance of young and the seniors. It is not an easy task. But he has made it clear that he values seniors' role and contributions in the party," she said. Gandhi also felt the Congress needs to develop a new style of connecting with people at the organisational level. "We also need to look at a way of how we project our programmes and policies," she said. She was also candid in saying that she now found more time for herself after demitting the post of Congress president which she held for 19 years. "I have more time for myself. To read and watch movies. I am also tiding up old papers of my mother-in-law (Indira Gandhi) and husband (Rajiv Gandhi). I will digitalise them. The papers are letters written by my mother-in-law to her son (Rajiv) and his replies. They are of sentimental value for me," she said. 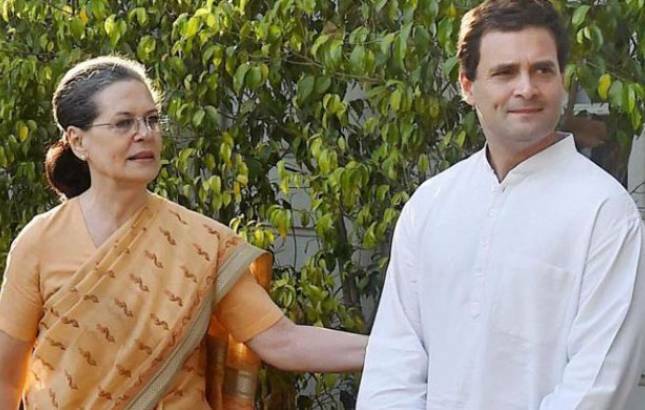 Reacting on criticism of Rahul not being in the country during counting of votes in northeastern states, she said the Congress president went to see his grandmother in Italy for three days after he had done his rounds of electioneering. On the political role for her daughter Priyanka Gandhi Vadra, she said till now Priyanka has restricted herself to managing Rae Bareli and Amethi constituencies during elections. "At the moment, she is pre-occupied with her children. It is up to her and one never knows the future," Gandhi said. Speaking on the Congress' loss to the BJP-led NDA in 2014, she said besides "other issues", the UPA government faced anti-incumbency for being in power for two terms. "We were out-marketed. We could not compete with how Narendra Modi (prime minister) ran his campaign," the UPA chairperson admitted. On Modi, she said," I don't know him as a person. During (former prime minister) Atal Bihari Vajpayee's time, we were bitter opponents. But still we functioned well." Asked what advice she would give to the prime minister, Gandhi quipped," I wouldn't dare to advise him. There are many people around him to do so." She also said that she was optimistic that her party would bounce back in 2019. "We are not going to let BJP/NDA win," Gandhi said. On the Congress' preparedness for the 2019 Lok Sabha polls, she said she was not fond of slogans and empty promises. "Don't lie to the people and promise what you can't implement," she said in an apparent barb at Prime Minister Modi. She also rejected that the Congress was taking up "soft Hindutva" approach. "Our opponents have branded us as a Muslim party. We have been visiting temples earlier too, but never made a show of it, "she said responding to a question on Rahul's temple visits during the Gujarat polls. On the arrest of Karti Chidambaram, son of former Finance Minister P Chidambaram, Sonia Gandhi said she wasn't aware of the details of the case. "One of the means of getting at political opponents by this government is starting cases against them," she charged.